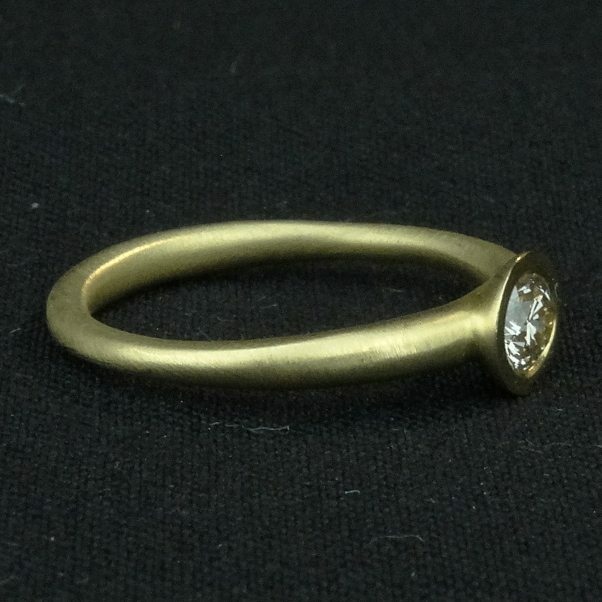 18ct yellow gold undulating ring, with 0.25ct brown diamond. Handmade by Bristol based jeweller Diana Porter. 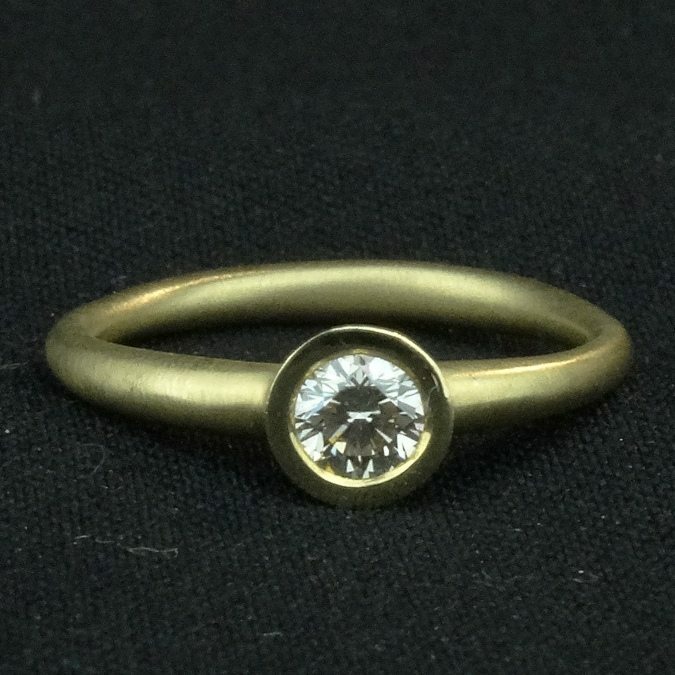 Each stone is unique, yet similar rings can be ordered in any size, please contact the gallery for details.